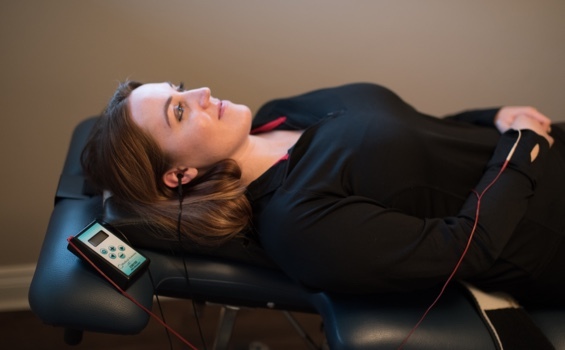 Transcranial vagus nerve stimulation is beneficial for headaches, irritable bowel syndrome, depression and memory loss. This approach has been reviewed in the scientific literature to help with inflammatory bowel disease (IBD), migraine and cluster headaches, Autism, blood-brain barrier repair and motor function after traumatic brain injury; depression, memory, motor symptoms of Parkinson’s disease, inflammation and trigeminal pain. Vagus Nerve Stimulation typically requires out-patient treatment due to the invasive nature of the procedure. As an alternative, we use a non-invasive treatment method taking advantage of the nerve’s proximity to the outer ear. The Vagus Nerve runs from the brainstem and through the neck, and is able to be stimulated using carefully placed nodes on the outer ear. The Vagus Nerve is responsible for regulating heart rate, digestion, sweating and a variety of muscles.